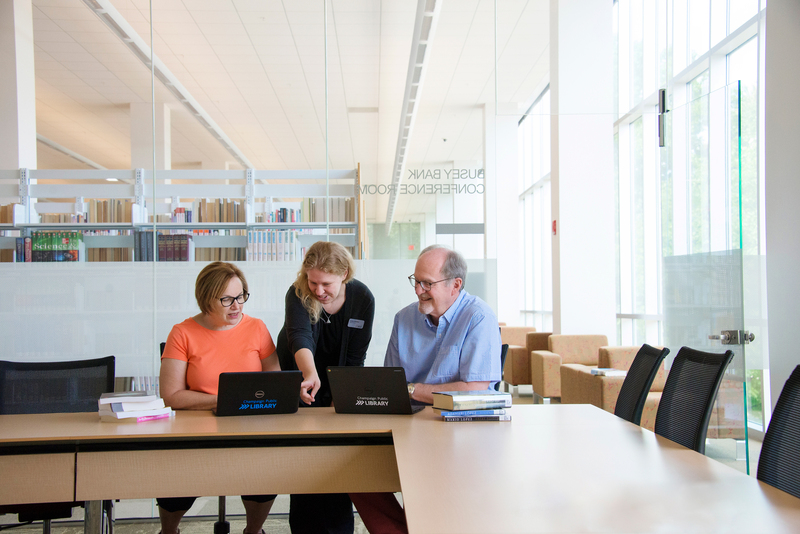 Champaign, IL – For the eleventh year in a row, the Champaign Public Library has earned national recognition as a “Star Library,” honored as one of the country’s top public libraries by Library Journal. In the past year, the library also received recognition as one of only 69 American libraries to make the “All-Time All-Stars” list. 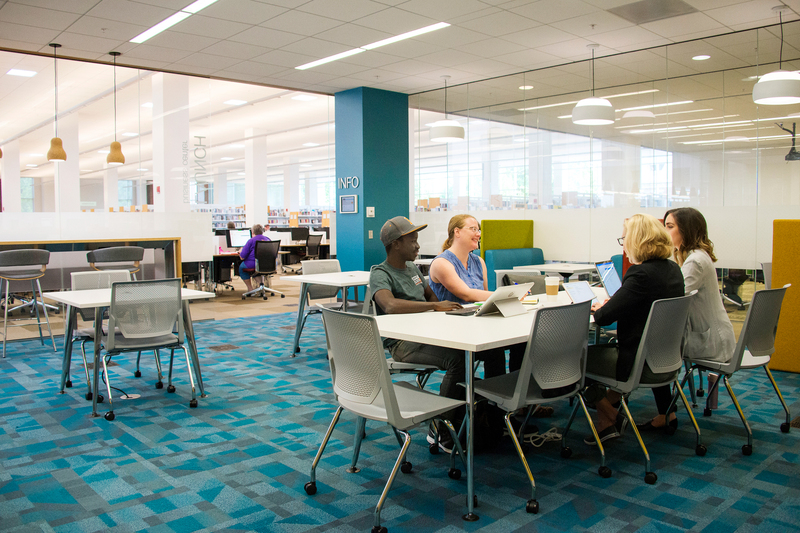 In its 2018 ratings, Library Journal awarded the Champaign library three stars (out of five), which ranks the library in the top 3.5% of public libraries nationwide. Of the 7,361 public libraries in the U.S. qualified to be rated, 257 Star Libraries received three-star, four-star, or five-star designations. The rating system, called the LJ Index of Public Library Service, recognizes public libraries that lead in community engagement. Their goal is to “spotlight the best of the best.” Scores this year were based on fiscal year 2016 per-capita numbers, including items checked out, circulation of ebooks, library visits, event attendance, and use of public computers at the library. This is the second year ebooks were included in the scoring. One of the newest e-resources available to Champaign Public Library cardholders is the collection of 30,000 films from Kanopy, a streaming service called “a garden of cinematic delight” by The New York Times (champaign.org/kanopy). Only 21 libraries in Illinois received a star rating. Find out more about the 2018 ratings on the Library Journal website at bit.ly/star-libraries-2018. About Library Journal: Library Journal is an industry-leading trade publication for librarians, founded in 1876 by Melvil Dewey, inventor of the Dewey decimal system. About the Champaign Public Library: Serving as a vital community center welcoming every member of our community, the Champaign Public Library ranks in the top 3.5% of public libraries nationwide, and earns a three-star rating from Library Journal. We inspire, inform, and connect our community! champaign.org. 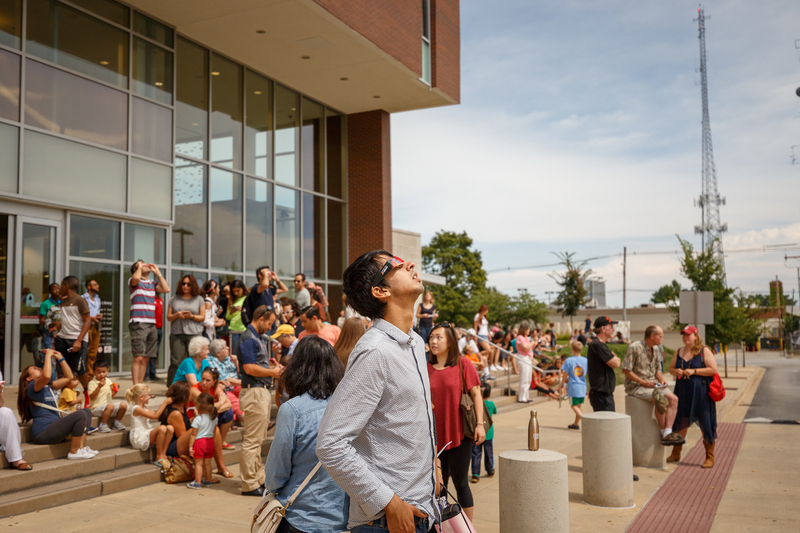 Thousands of community members watched the solar eclipse on August 21, 2017, on the library's front steps. Area entrepreneurs and business owners get help from experts in the Launch at the Library walk-in coworking space. Library staff introduce computers, tablets, email, and more at new Getting Started with Tech workshops.